The other, perhaps not so obvious qualifier was Lazio. The Biancocelesti had lost 1-0 to Steaua in the first leg in Romania, but found their mojo to win 5-1 at the Olimpico, and thus completed a 5-2 win on aggregate. 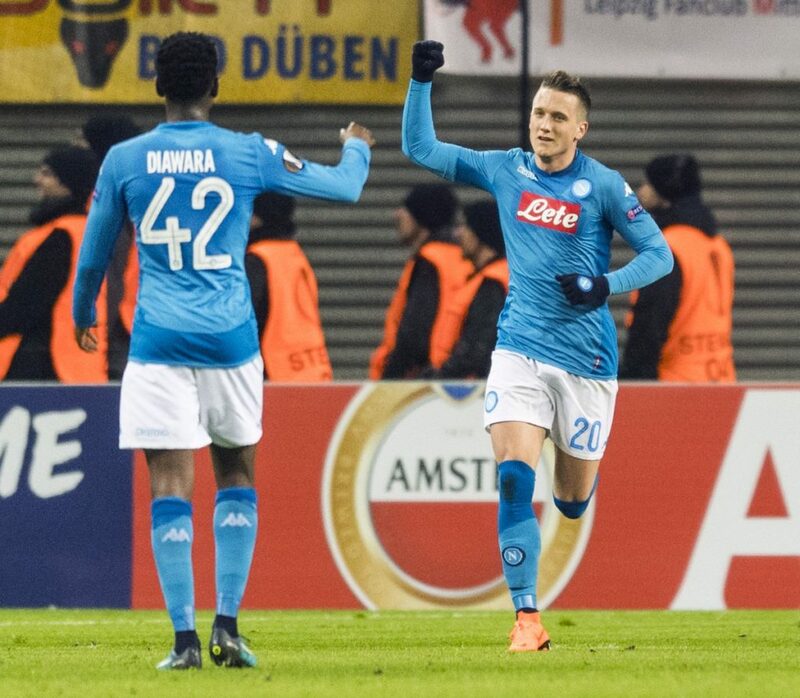 However there was disappointment in store for Serie A toppers Napoli, who overturned their 3-1 deficit to win 2-0 in Leipzig, but were sent out on the away goals rule. Leipzig are currently 5th in Germany, but this was always going to be a close clash- both were teams that dropped down to the Round of 32 after finishing third in their respective Champions League groups. The last Italian team in action were Atalanta, who were less than ten minutes away from knocking out Borussia Dortmund, but Marcel Schmelzer’s late equaliser sent Batshuayi, Reus and co. into the Round of 16. Schmelzer scored from the rebound after Reus’ initial effort had been spilt by Etrit Berisha. Both Milan and Lazio will find out their respective Round of 16 opponents on Friday afternoon.